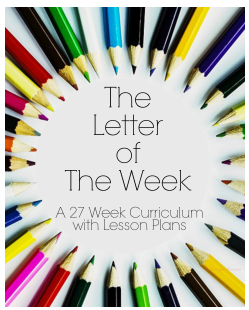 For two weeks only, you can download a 27-week Letter of the Week Curriculum for FREE from The Fraggle Momma. To get this offer, subscribe to her email list. If you’re already subscribed, you will automatically get access to these lesson plans and curriculum. This program will be delivered in PDF form via a weekly email (one letter a week) over the course of 27 weeks. The course will be $5.99 after the FREE 2-week period so grab it now! It will include the lesson guide, printable worksheets, and activity ideas.